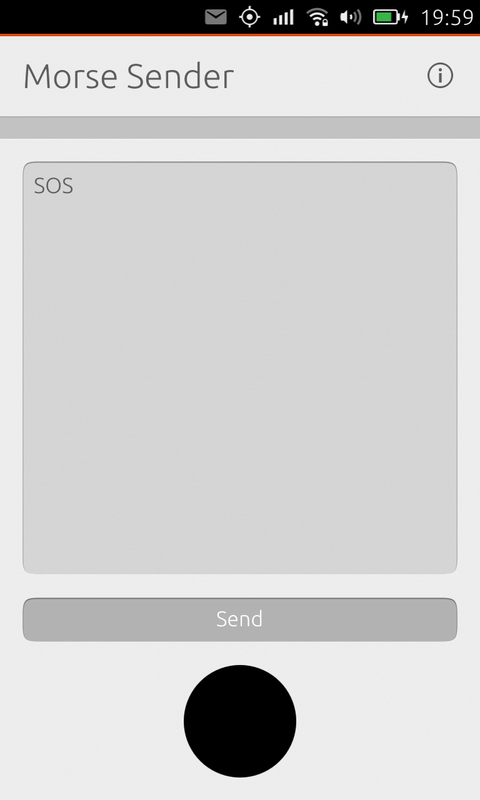 In a previous post I talked about the experiences of writing my first five applications for Ubuntu Phone. Since then, I've written three more. As before, all these apps are GPL 3 licensed and available on Launchpad. What's new is now you can browse them online due to a great unofficial web appstore made by Brian Douglass. This solves one of my previous gripes about not being able to find new applications. One thing I have changed is I've started to use the standard page header. This makes it easy to add more pages (e.g. help, high scores). I initially wasn't a fan of the header due to the amount of space it took up but for simple apps it works well and it makes them predictable to use. I also went back and updated Dotty to use this style. 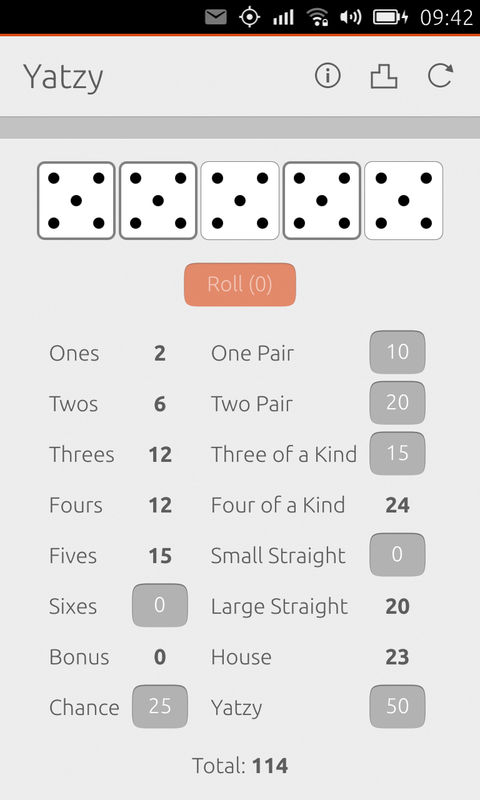 It's a simple utility to simulate dice rolling. Not much more to say. 431 lines of QML. I was playing with uTorch and watching a spy movie and thinking "hey, wouldn't it be cool to flash the camera and send morse code messages. I wonder if the phone responds fast enough to do that." Apparently it does. 584 lines of QML. 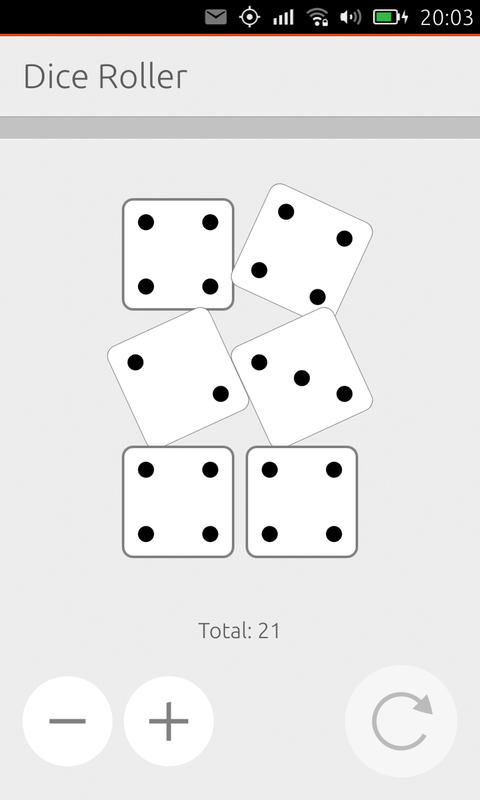 So I thought, now I have this nice dice code from Dice Roller, it would be cool to make a full dice game with it. I've played a fair bit of Yahtzee in my time and searching Wikipedia I found there was a similar public domain game called Yatzy. 999 lines of QML.